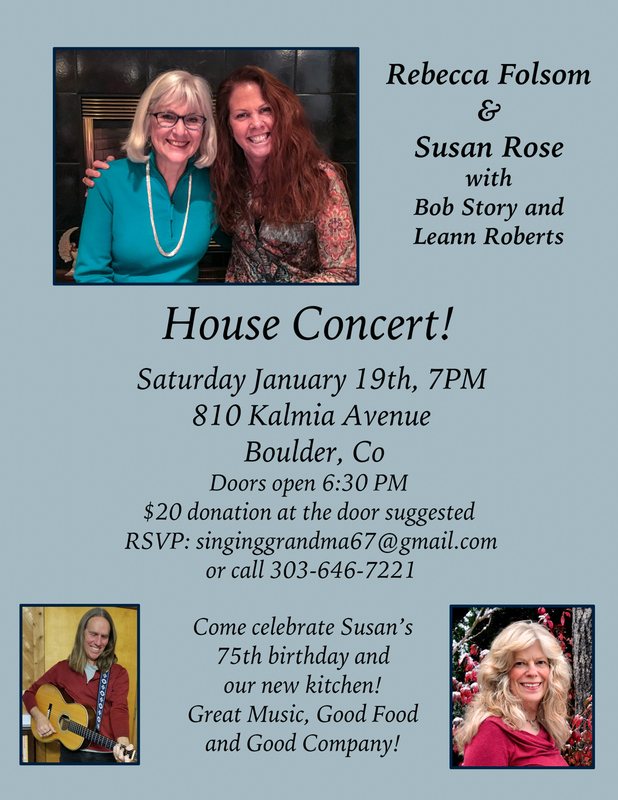 House Concert Co-bill with Susan Rose and Rebecca Folsom in Boulder, CO. Tickets Suggested Donation $20. Light snacks will be provided. 6:30pm doors, 7:00pm show. Contact 303.646.7221 or email singinggrandma67@gmail.com to reserve your space and for more detailed information.